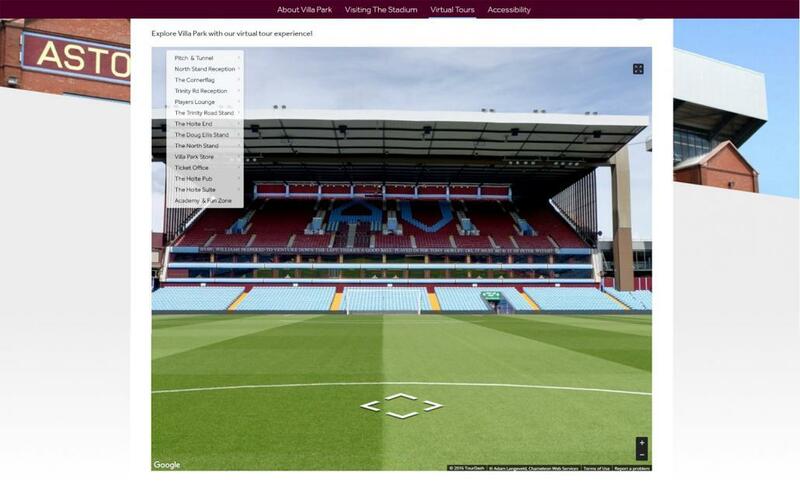 We proudly present our amazing 360 virtual tour of the entire Aston Villa Football Stadium. This 360 virtual tour allows you to explore the entire area of Villa Park using Google Maps Tours. Chameleon is an award winning Google partner trusted to take Street View inside businesses large or small. Due to the huge size of a football stadium, the complexity of this type of work means there are not many companies in the UK able to manage these complex projects. Chameleon have previously built full stadium tours for the Wolverhampton Wanderers and West Bromwich Albion. Currently we are producing another tour for the Birmingham City Football Stadium.